Arch Madness Missouri Valley Tournament: Men's Basketball Championship at the Enterprise Center. Tournament dates: Thursday - Sunday, March 7th - 10th, five sessions. See website for more info and to purchase tickets. The Enterprise Center, formerly the Scottrade Center, is the home of the St. Louis Blues Hockey Team and is located in downtown St. Louis. 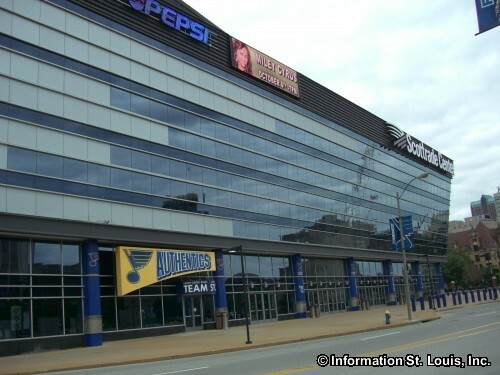 Along with the Blues games, the Enterprise Center hosts about 175 events per year, such as family events, ice shows, live concerts, basketball games and other sporting events. Directions: Located in Downtown St. Louis on Clark Avenue, between 14th and 16th Streets, directly behind the Peabody Opera House.